JOE has been a fully-fledged convert to the religion of Zlatanism for quite a long time now and it's easy to see why we love him so much. Amazing goals, backheel assists and this lovely moment with Jose Mourinho represent just the tip of the iceberg as far as we're concerned. The latest story about the Swedish star may be our favourite one yet because it seems like he didn't want any credit, fame or publicity from this amazing gesture. Swedish newspaper Expressen revealed this lovely story about the Swedish learning disabilities national team, who qualified for the World Cup two years ago, only to see their participation in doubt due to a lack of finances. The PSG captain and some of his fellow Sweden internationals were asked to donate shirts that could be auctioned off to help raise funds. Zlatan went one better... he gave the team all of the money himself. 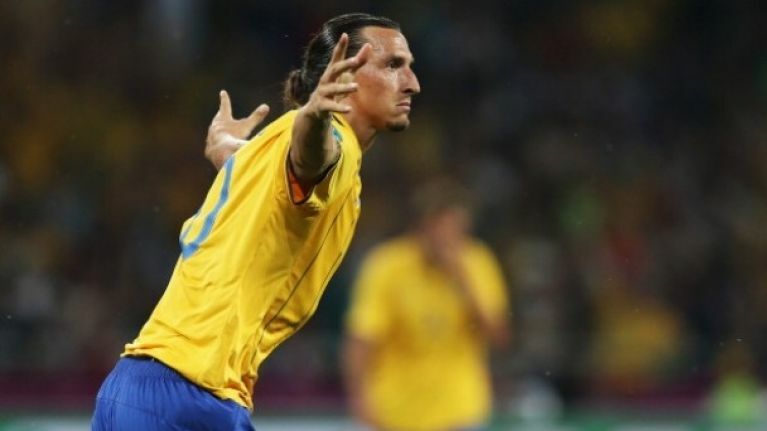 Ibrahimovic gave 350,000 Swedish Krona (40,000 euros) for flights, hotels and living expenses in Brazil. Jonsson also added that “Helena Seger (Zlatan’s partner and mother of their two sons) was sincerely touched and cried when he told her about his gesture. They seem to be really nice people, both of them. And Zlatan is really the opposite of what people think he is – a warm and kindful person."